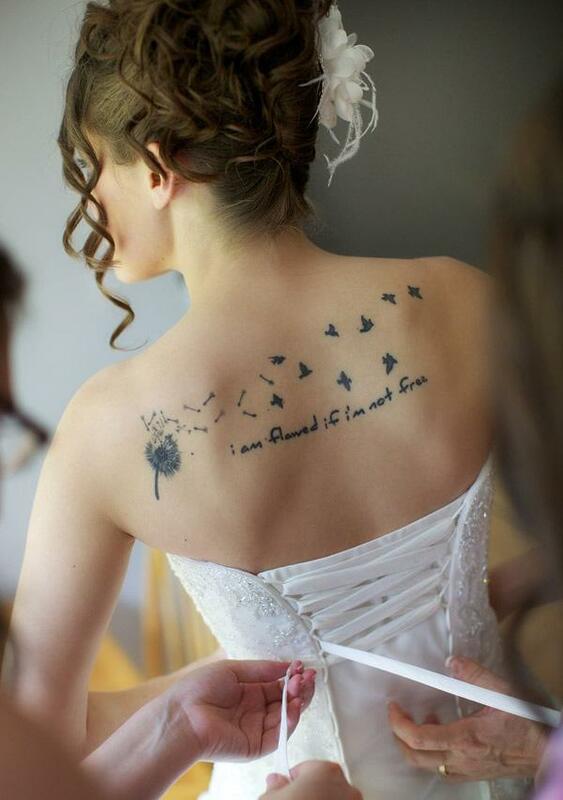 Tattoo is such a rich way to express one’s beliefs and anything significant in life. 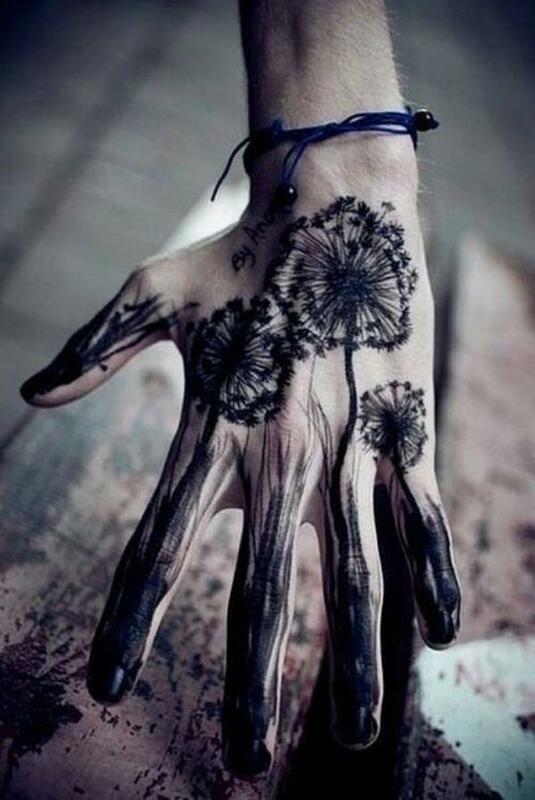 Flowers are great sources to find symbolic meanings. 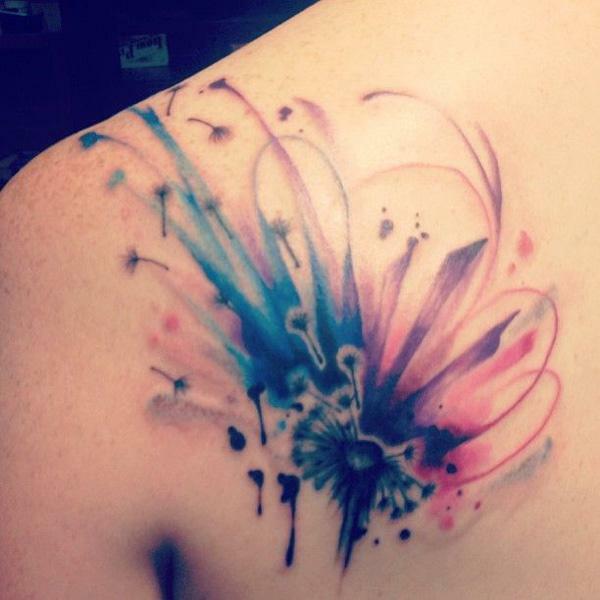 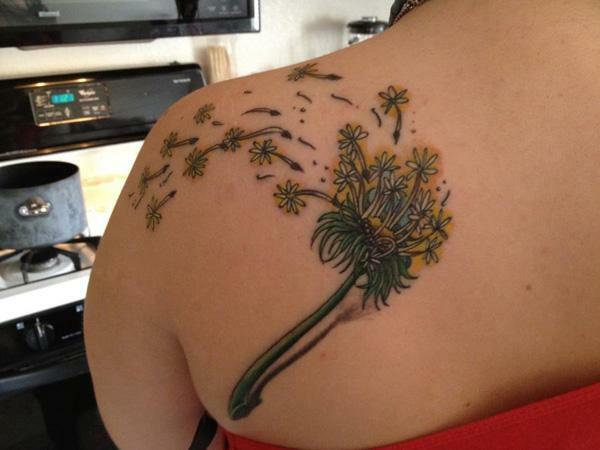 Like many other flower tattoos, dandelion tattoos are getting more and more popular. 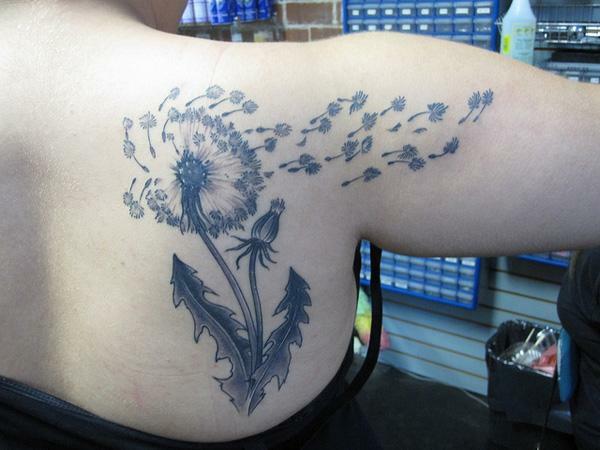 A dandelion is a wild plant which has yellow flowers with lots of thin petals. 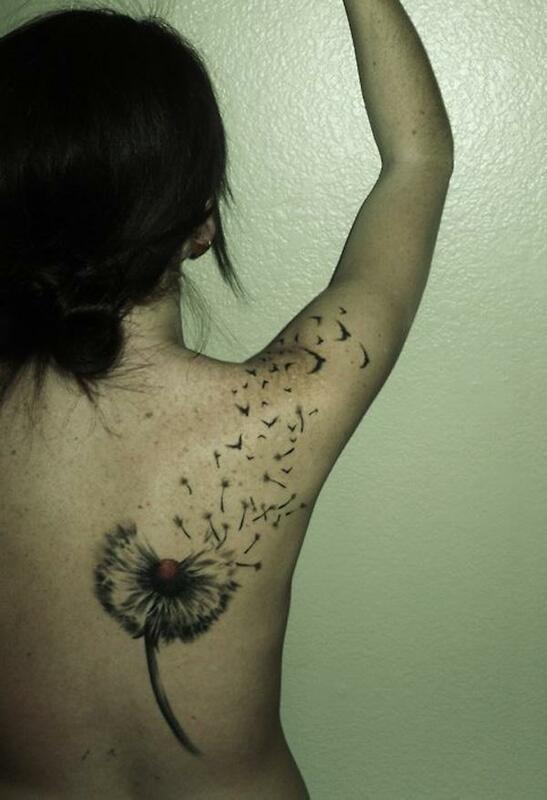 When you blow the petals, all the seeds drop off, you dream wonder goes with the seeds. 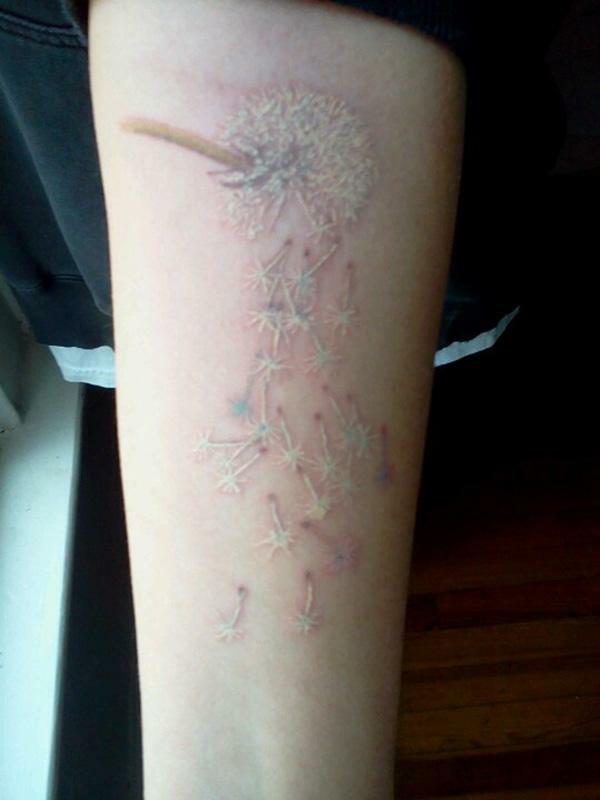 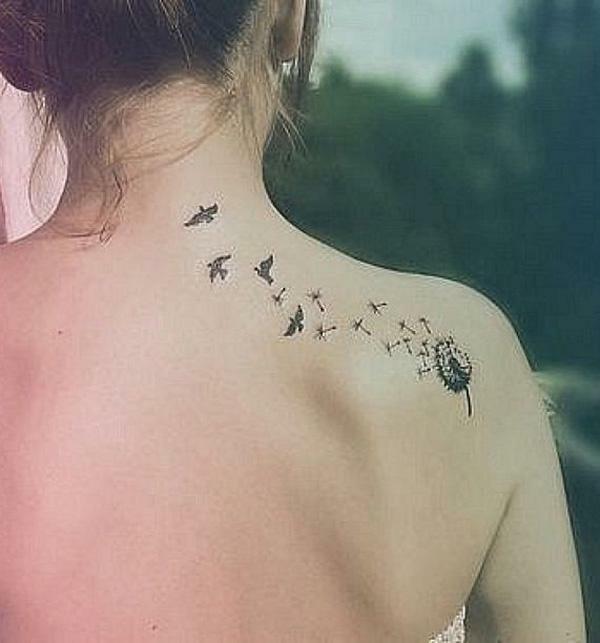 Dandelion tattoo reminds us of the innocent life during our childhood. 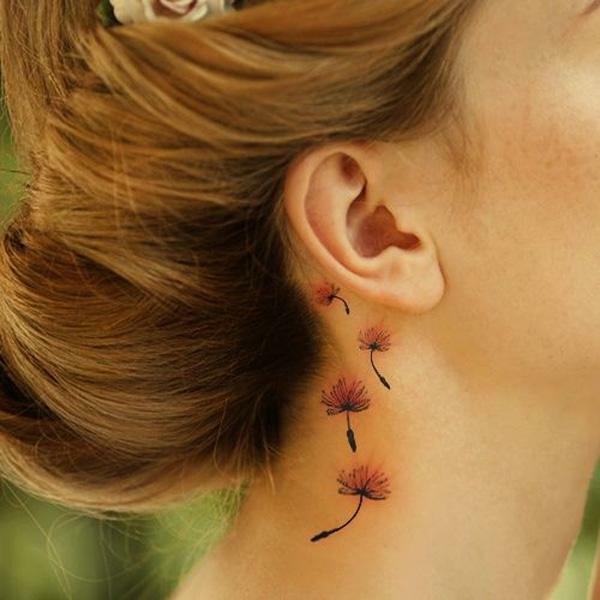 The dandelion has also been popular in folklore and legends. 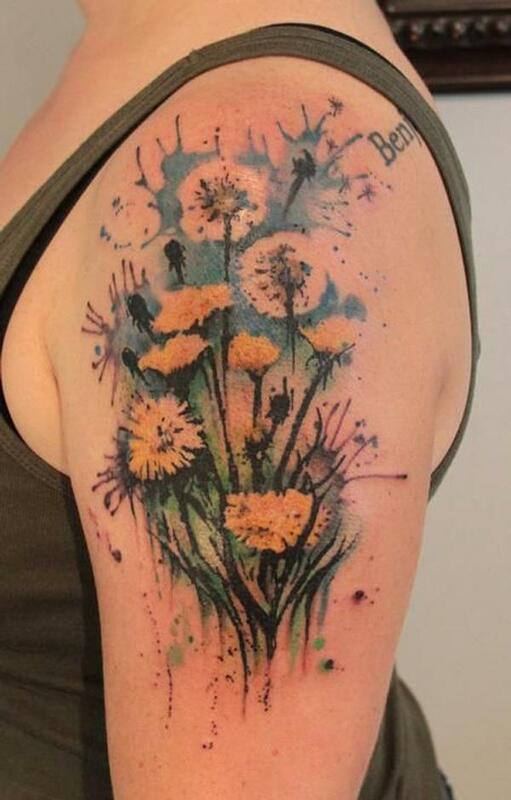 In Christianity, a dandelion is associated with Jesus Christ’s love and self-sacrifice. 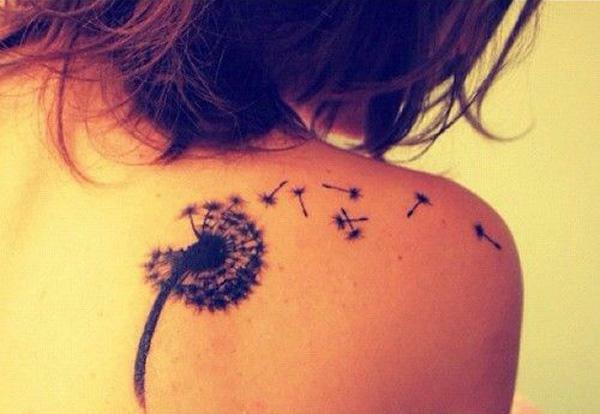 The dandelion tattoo symbolizes what you wish and is considered to bring good luck and prosperity. 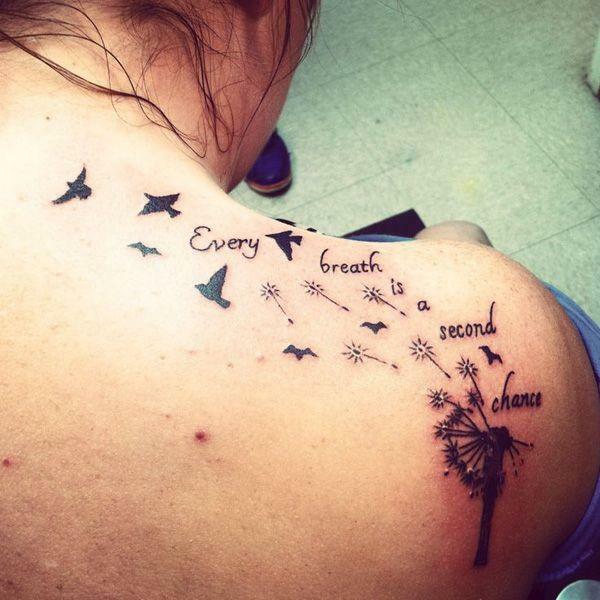 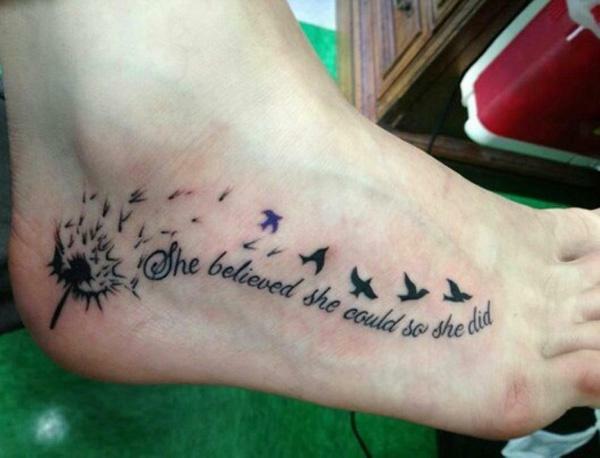 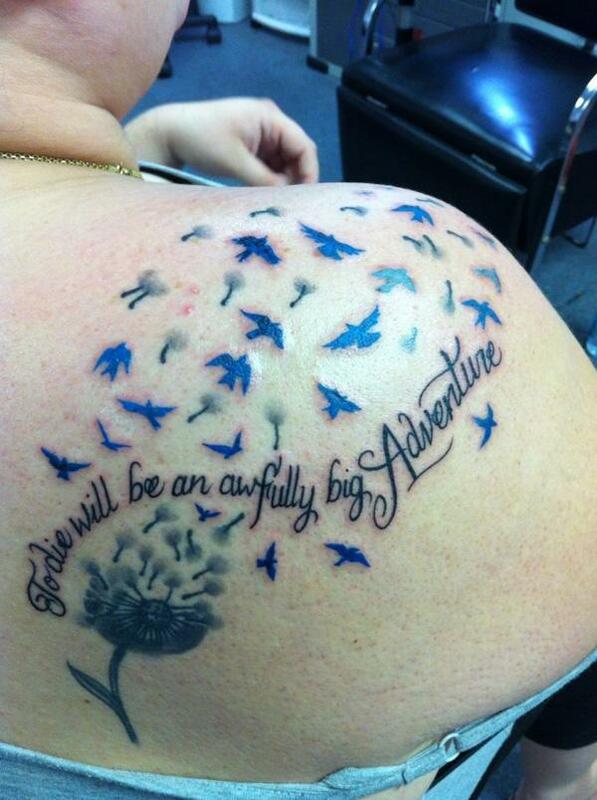 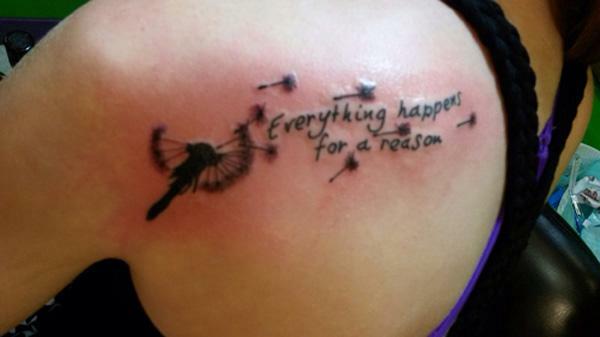 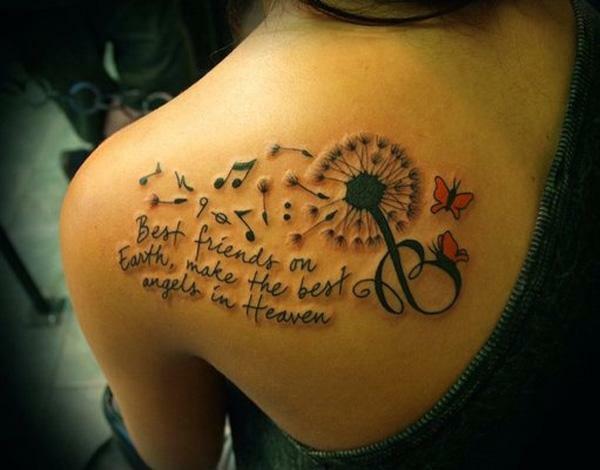 Some dandelion tattoos are added with a short quotes, which makes them cute and clear. 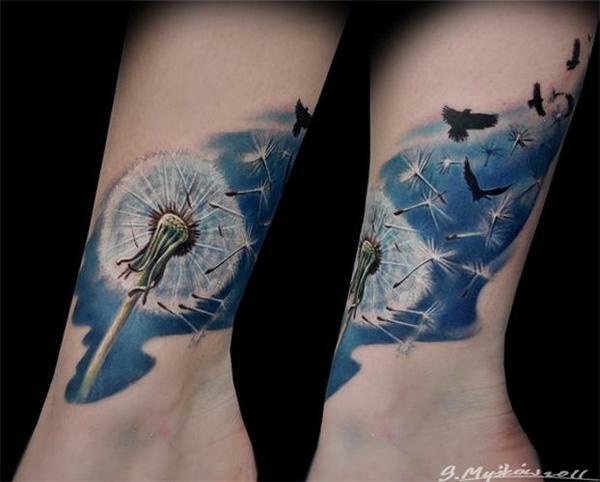 In terms of placement, dandelion tattoo could look very cool on the shoulder and back, but also works on the wrist and inner forearm. 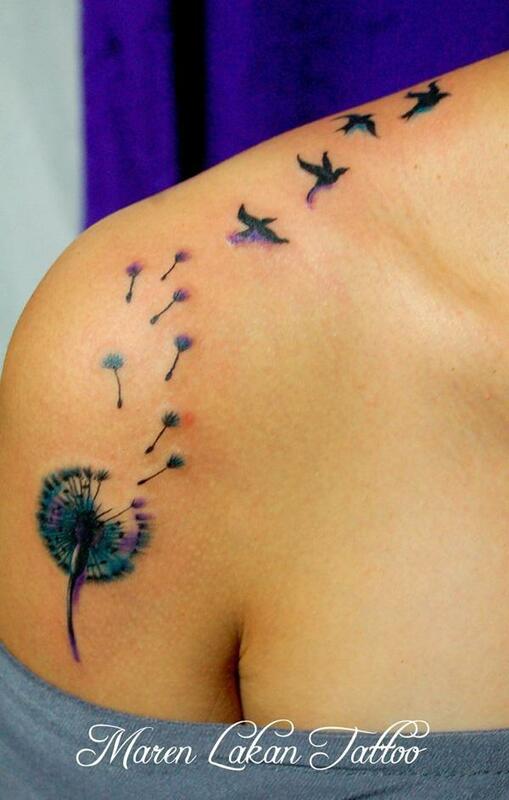 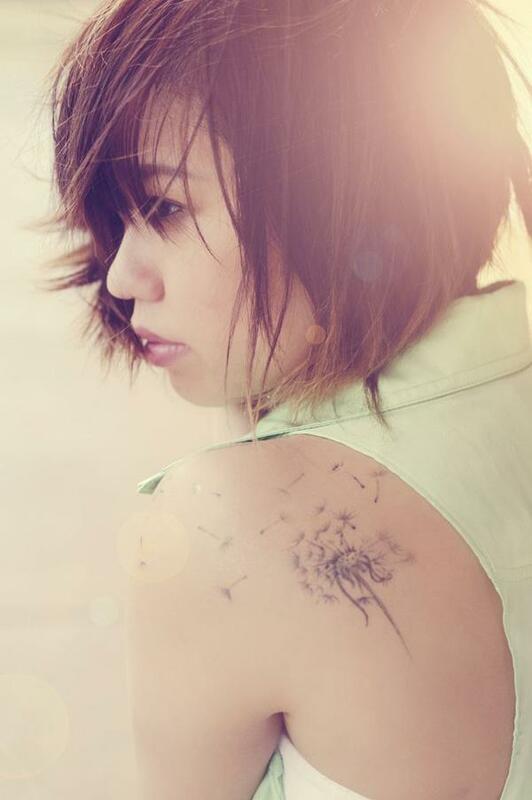 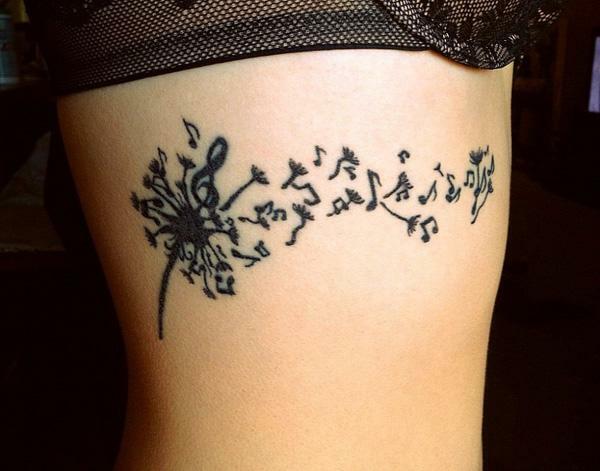 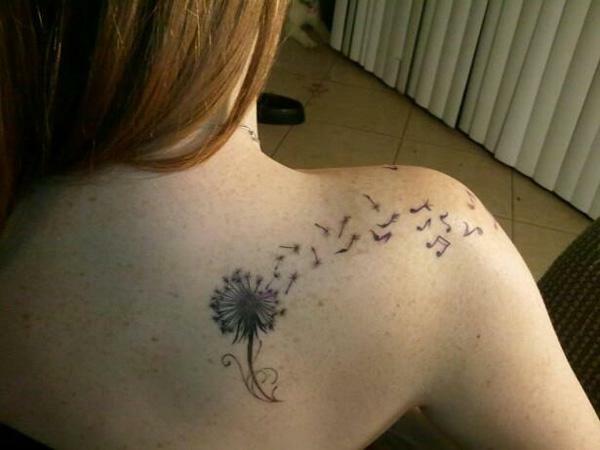 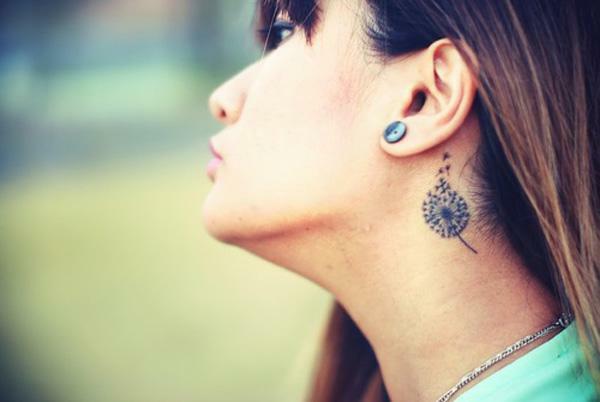 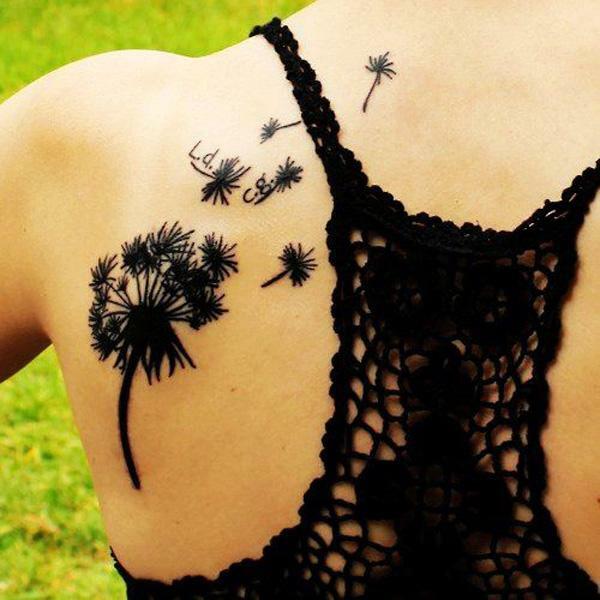 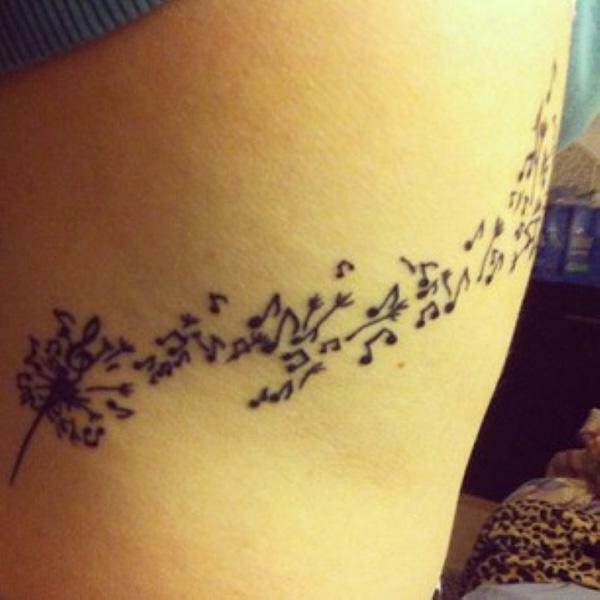 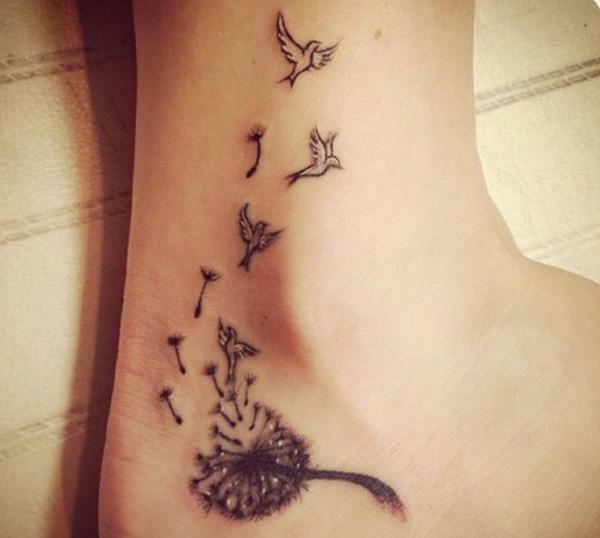 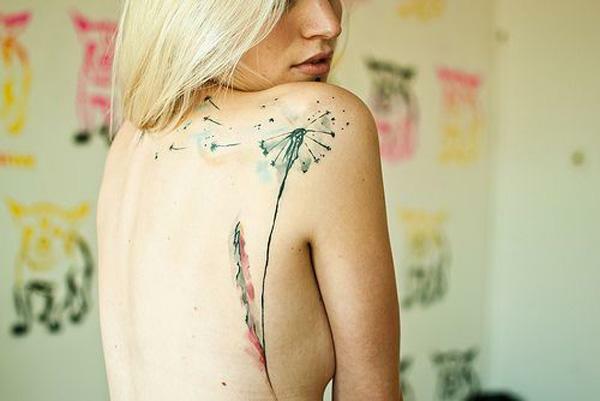 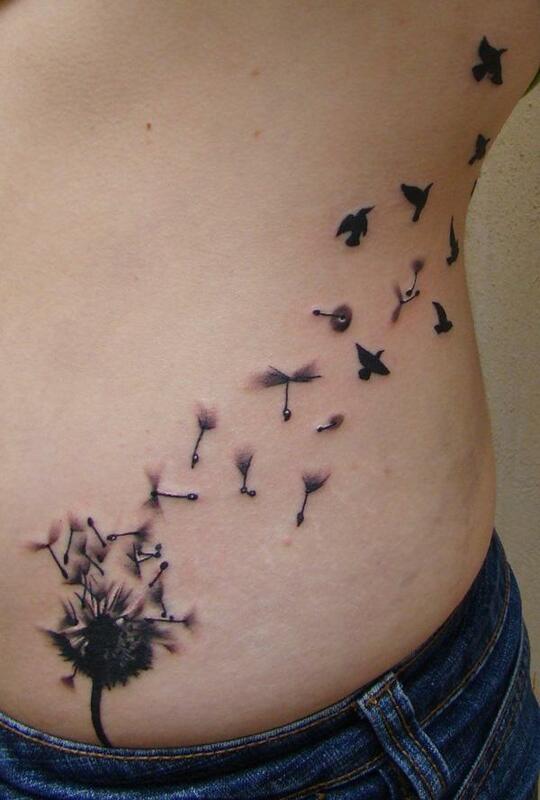 Dandelion tattoos could be favorite tattoo ideas for women. 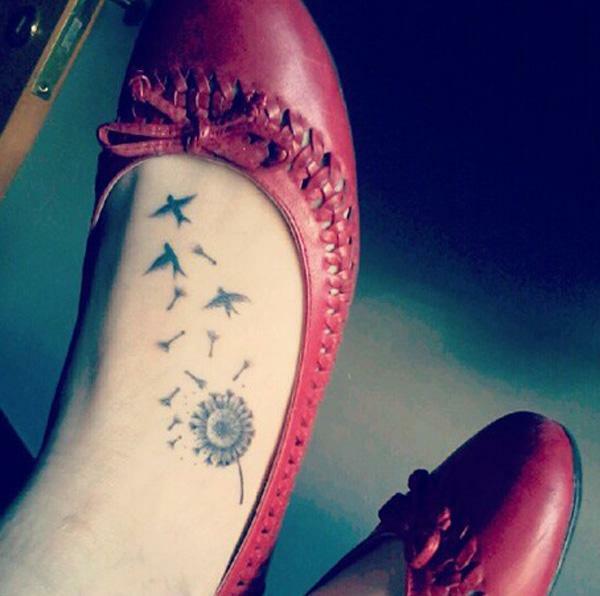 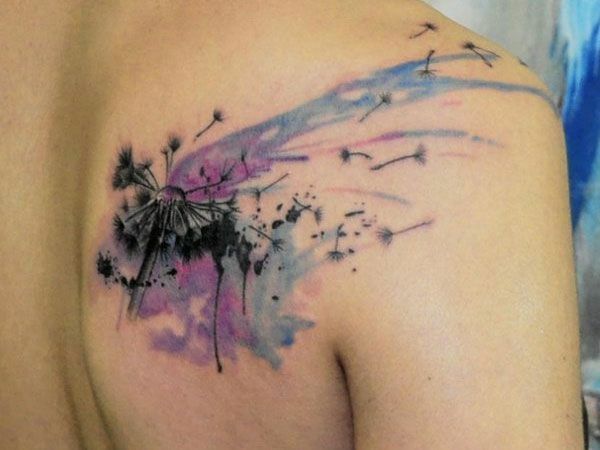 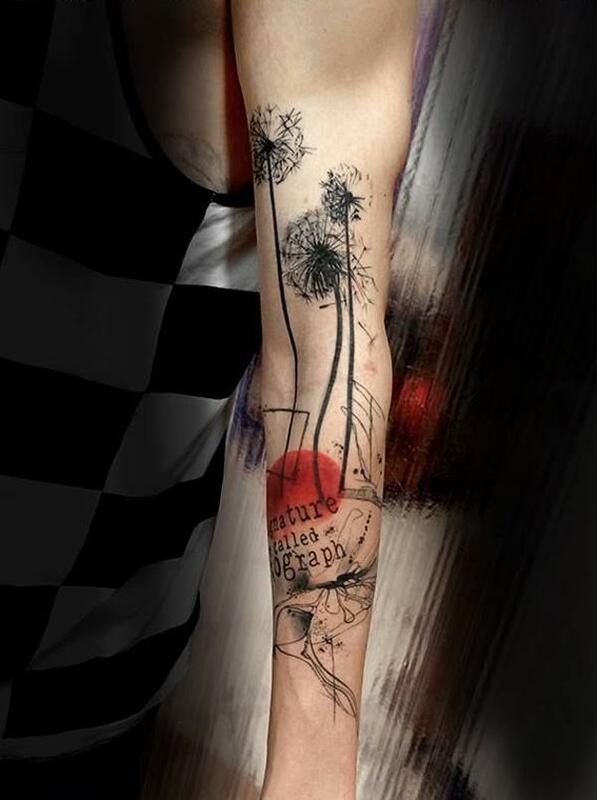 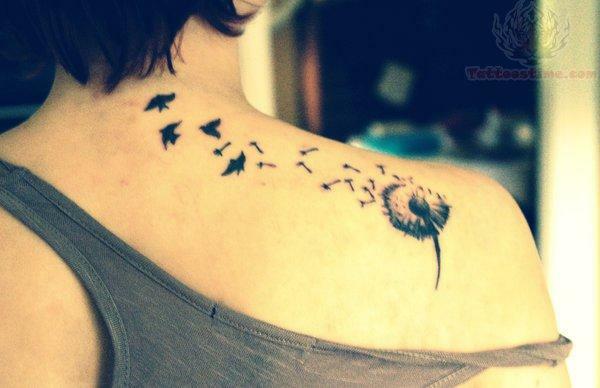 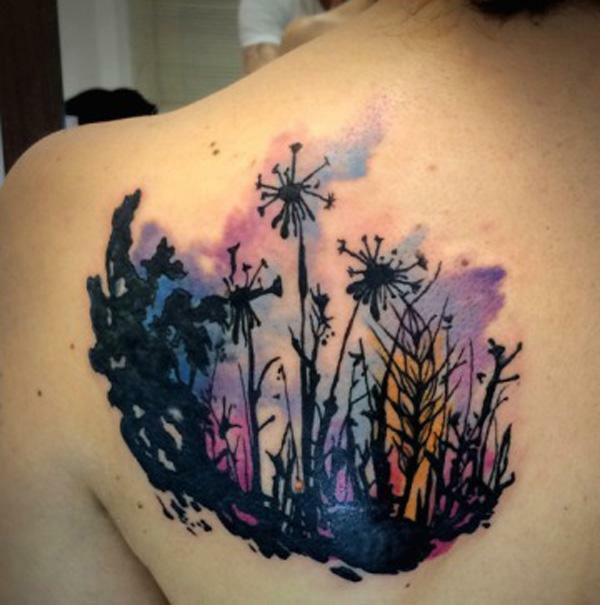 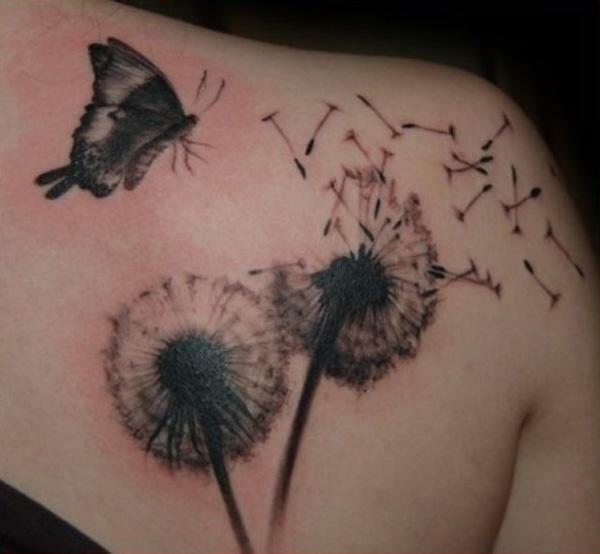 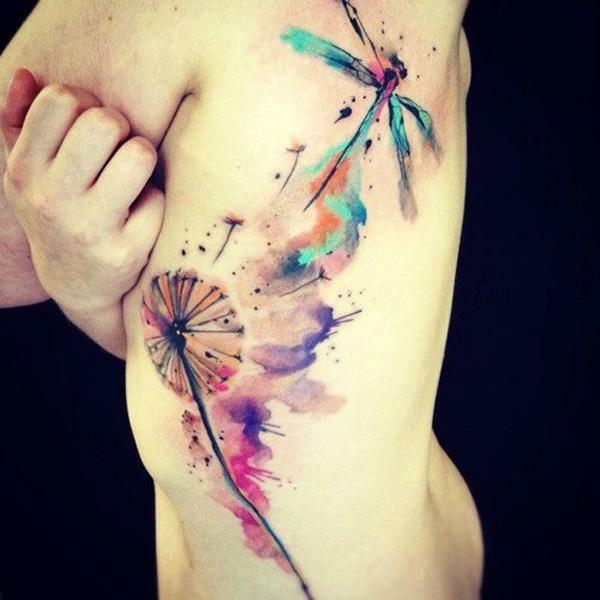 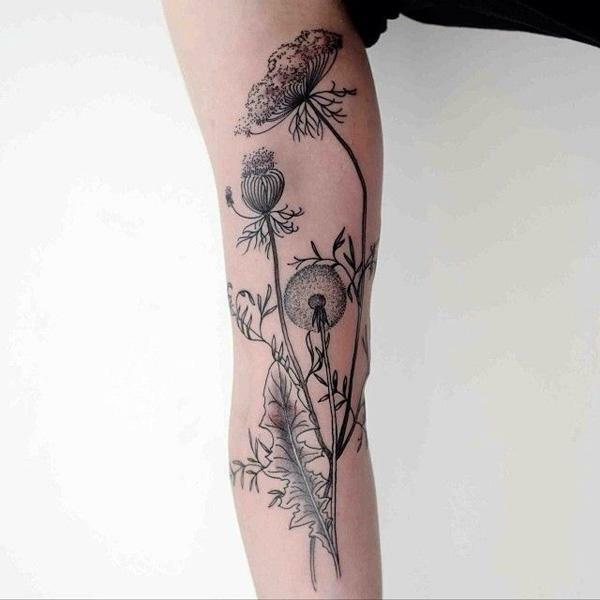 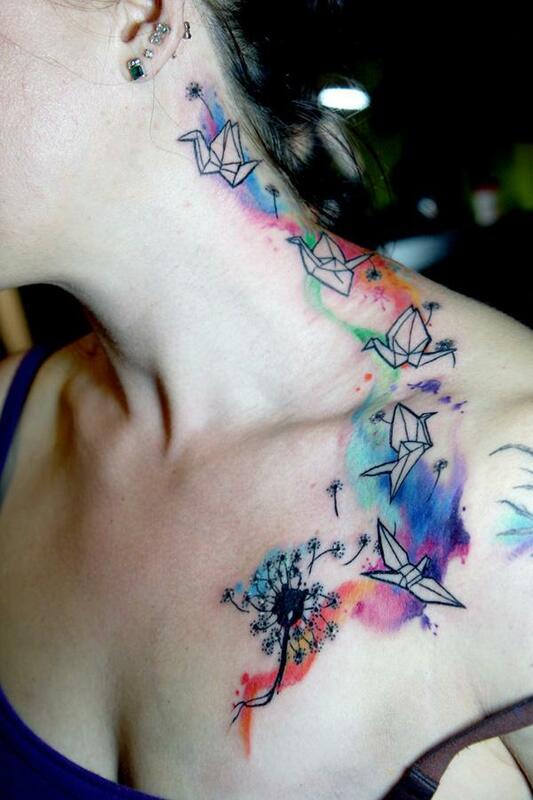 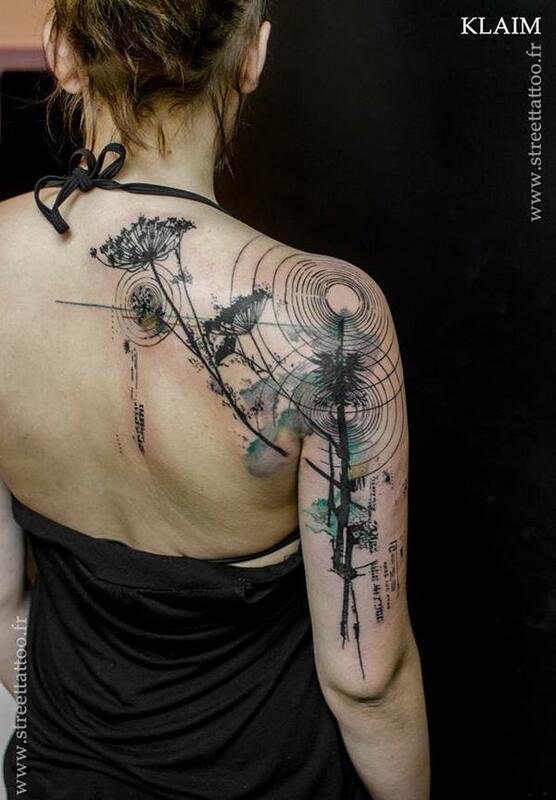 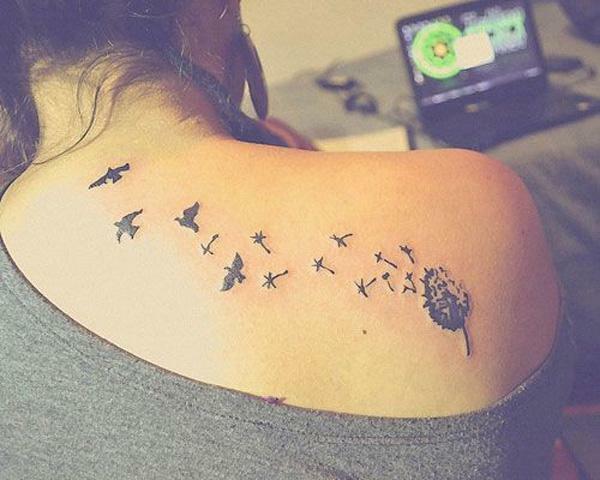 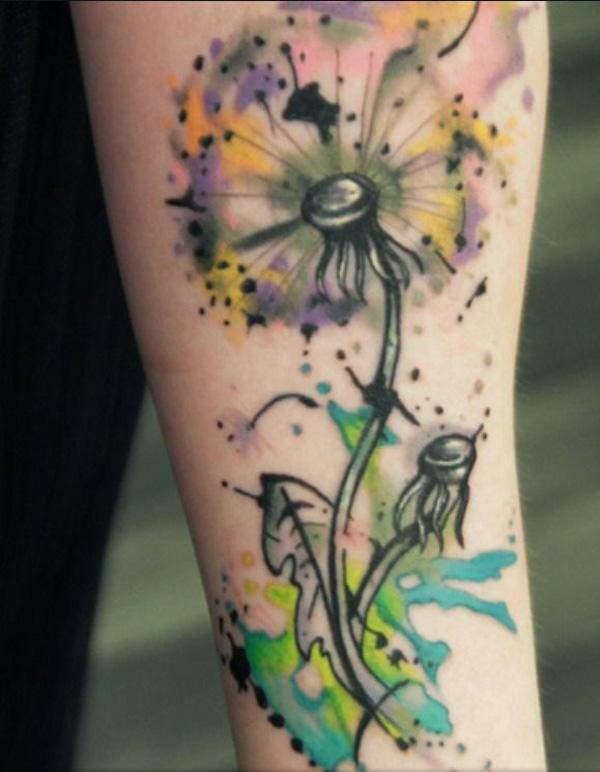 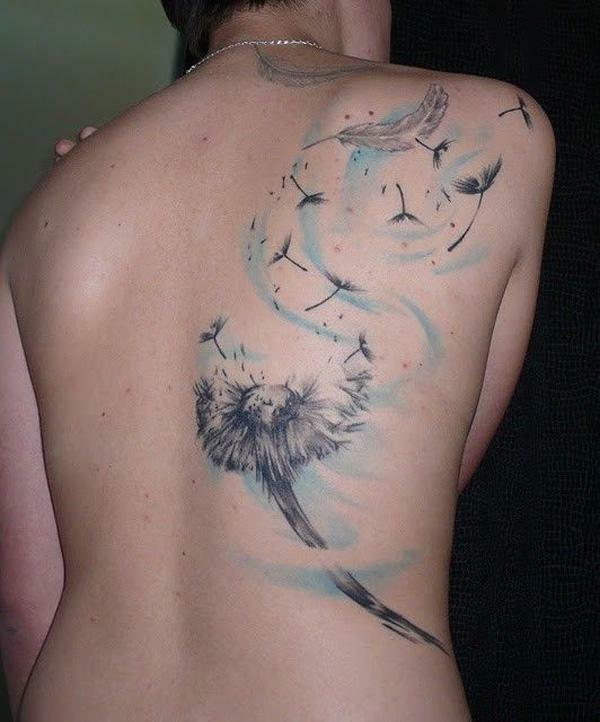 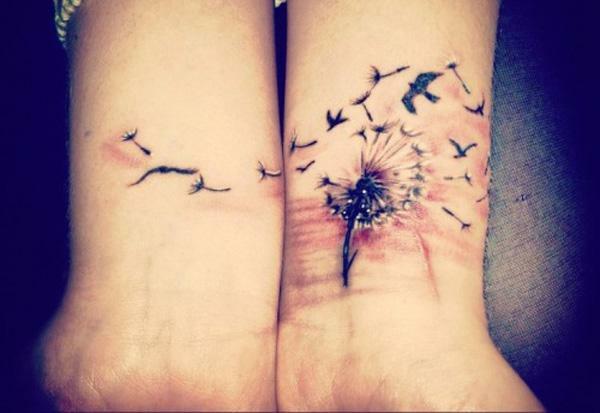 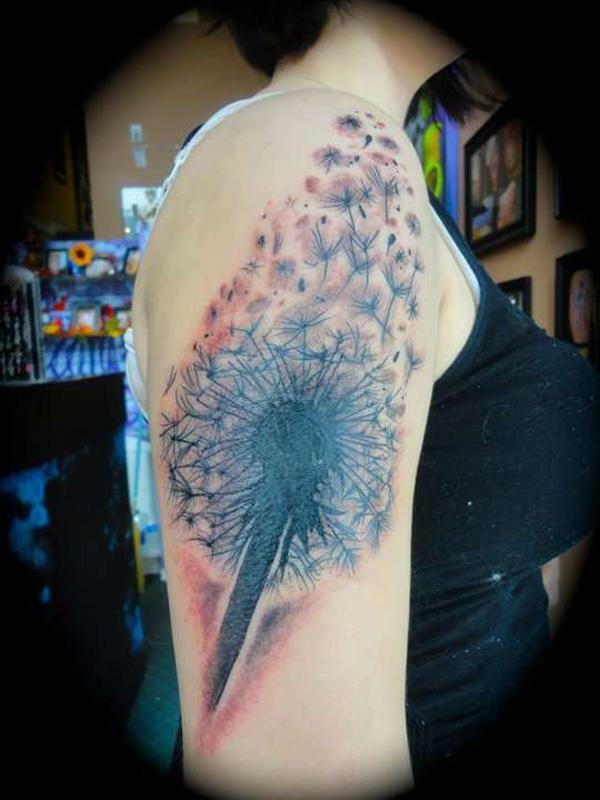 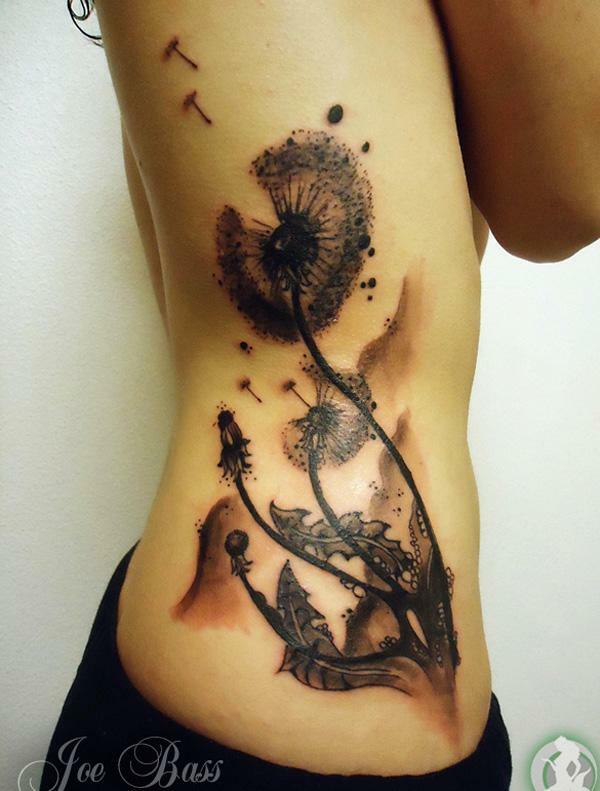 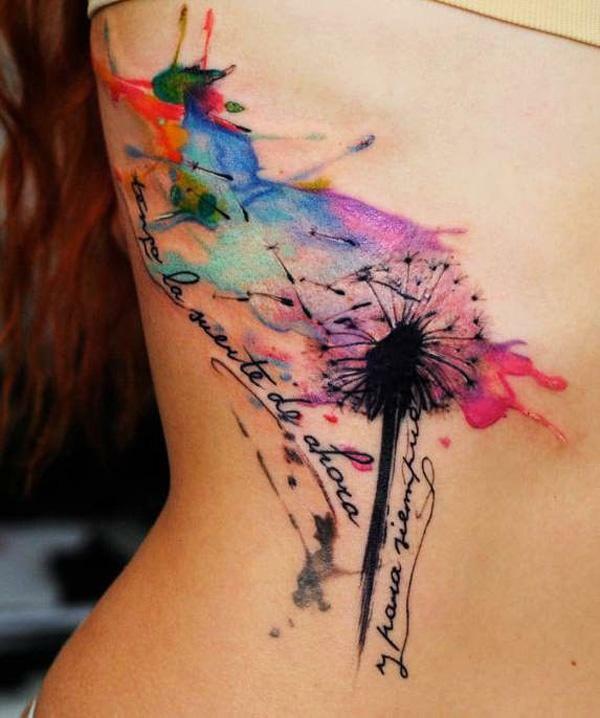 If you are looking for inspirations of dandelion tattoos, here are a list of the best collection.